Quick and efficient paintless dent removal system. The revolutionary new Paintless Dent Repair System using the specially formulated dentmenda 246-black adhesive will work with all tab systems in the market place. This adhesive system has been developed to remove most dents from car bodywork where there has been no damage to the paintwork. 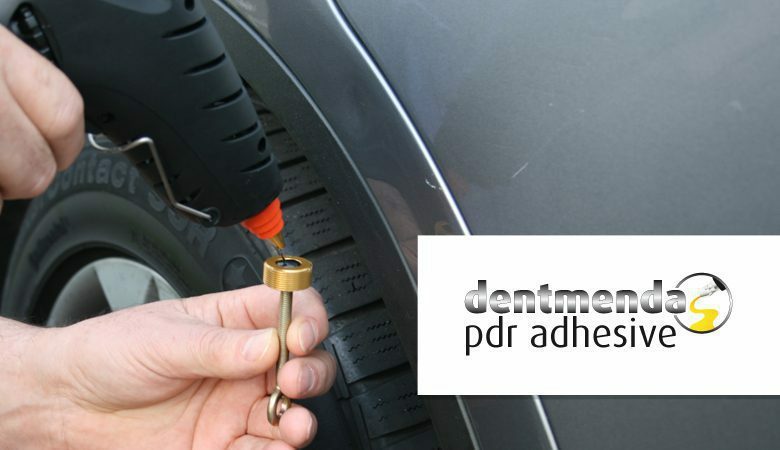 Using our portable gas-tec 600 (gas operated) glue gun to apply the dentmenda 246-black adhesive to the relevant tab, simply stick it onto the dent before attaching the lifting tool to the tab, and pull the dent out – job done! Any adhesive residue left on the bodywork can be easily removed with white spirit! We are so confident that you will find the new dentmenda 246-black adhesive the best, we will send you a free sample on request to try for yourself.